Update 14 Oct 2007: Actually we quit doing anything on this years ago and even used some of the "spare parts" in Daedalus. Don't plan to ever see this one. 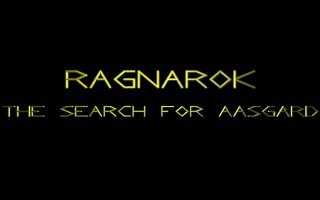 We have decided to put Ragnarok on hold, and will instead be using the work so far as the background for a new project using the upcoming OGRE engine. The name will be retained, the story and effects will still be done, but it'll be pretty much restarted in a new environment. We see this as a perfect opportunity to use the Ragnarok story and features that we've already planned and worked with, to make both the OGRE engine do what we need and to use the flexibility of OGRE to make Ragnarok what we really wanted it to be. All this will be without the headaches of DOOM limitations, even though it's better than it was because of the various source ports. OGRE is a different engine though, and Ragnarok will make the perfect test case for building a better engine. Well, briefly, it's all about a strange anomaly in the fabric of time that seems to be identifiable as beginning in the time attributed to Norse mythology. We are just going to have to go figure out what's happening. Since the change to redevelop the project for OGRE, we have no timeline.